In an effort to utilise the whole beast, in addition to mutton and lamb meat, we also offer hides from the sheep selected for slaughter at Yarnauwi. The animals are bred, raised, grazed and slaughtered on South Australia’s Fleurieu Peninsula, and the hides are tanned on the Fleurieu south coast at Tony Scott’s Southern Tanners, Port Elliot. To our great excitement, the hides have now arrived, replete with all the eccentricities and quirks of our mixed breed flock. This year the Damara breeding is becoming ever more evident with plenty of soft browns and textures that range from silky long pile to short, curly and ever-so-soft. Our last hide sale saw the skins being employed intact in home decorating, as well as transformed in assorted craft projects (see Local and Bespoke’s car seat covers from our Wiltshire Horn hides here). 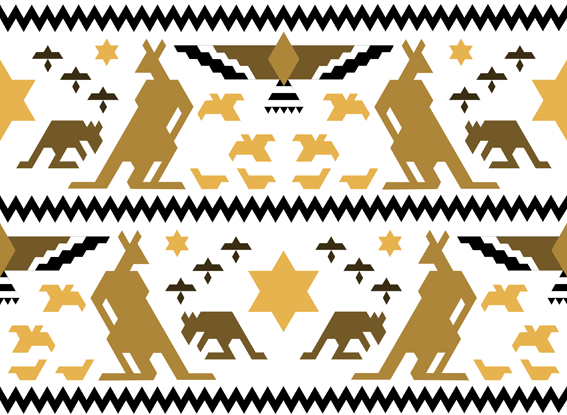 Check out this year’s offerings at our Sheepskins for Sale page, and get in touch at yarnauwi[at]gmail.com if you’re keen! A tradition has officially started now that I’ve done it twice. 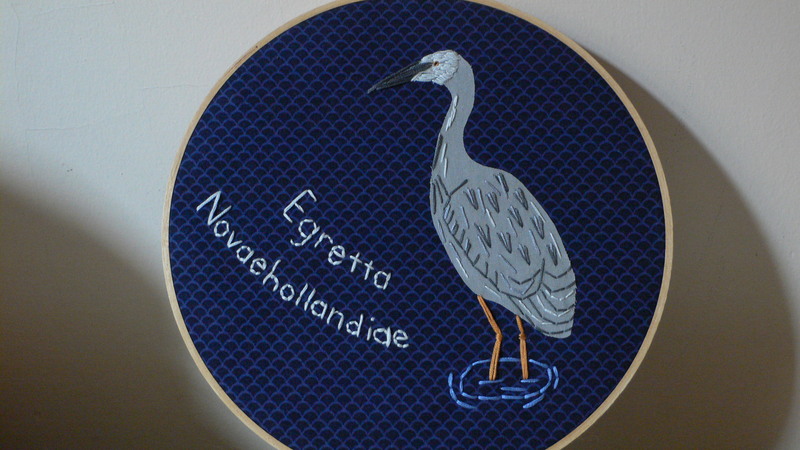 Each year, in honour of Joel’s birth, I shall embroider a different bird species found on our property to add to a home wall gallery. Joel asked what the criteria is for birds to be selected: they have to be interesting, native, and not commonly found in the city (even though they can be common on the Fleurieu). 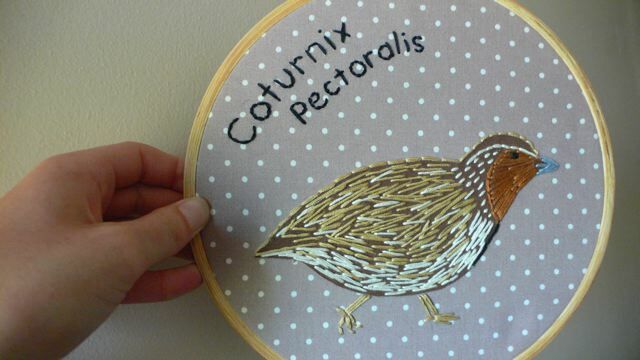 I can’t bring myself to embroider pigeons or magpies, though we have plenty of both. The idea is that I shall never run out of birds to embroider, as more and more birds will flock to our property as it becomes ever more diverse and abundant! The key bird species we are hoping to attract at the moment are yellow-tailed black cockatoos (which currently fly straight over and go and eat pine nuts in the pine trees in the Second Valley beach carpark) and the little finches we see hanging out in the Wirrina reveg area just across our back fence line. So stay tuned for next year’s installation! New designs: Winter is coming! After watching the hills turn dry and crispy over the summer, I don’t think I’ve ever pined so much for the return of a little rain, cool weather and a sun not-quite-so-withering, and all the opportunities they bring.